We came to this practice from the previous dentist who used the same office and over the years had only positiveexperiences here - so much so that we moved all our six kids from their pediatric dentist to this one! We came to this practice from the previous dentist who used the same office and over the years had only positive experiences here - so much so that we moved allour six kids from their pediatric dentist to this one! Dr. Matt Ginsburg is THE Best!! Our family has been going to him for about 10 years. He tells us inadvance the kind of treatments we're going to need, he refers us to superb specialists if the treatment is something he doesn't specialize in, his staff are professional, each have a great sense of humor (which you have to have in a dentist's office), their knowledgeable, helpful, take pride in their work and are devoted to Dr. Ginsburg. The office environment is quiet and relaxing. We never leave with pain. We've gone to different dentists in this same office for more than 40 years and every single one of them has been top-notch. Is just doesn't get any better than that. Frances M.
Dr. Matt Ginsburg is THE Best!! Our family has been going to him for about 10 years. He tells us in advance the kind of treatments we're going to need, herefers us to superb specialists if the treatment is something he doesn't specialize in, his staff are professional, each have a great sense of humor (which you have to have in a dentist's office), their knowledgeable, helpful, take pride in their work and are devoted to Dr. Ginsburg. The office environment is quiet and relaxing. We never leave with pain. We've gone to different dentists in this same office for more than 40 years and every single one of them has been top-notch. Is just doesn't get any better than that. Frances M.
*Please contact the office directly to reschedule or cancel any appointments* Our dental practice provides comprehensive dental care for your entire family. Both children and adults are welcome in our practice. Our Staff is committed to developing relationships with each patient through communication, education and appropriate treatment planning. Often, there are multiple different treatment options to achieve excellent results. We have a special focus on cosmetics, the restoration of dental implants and Invisalign clear orthodontics. We develop a relationship with each patient and tailor treatment to your dental needs, desires and finances. Dr. Ginsburg graduated from Cornell University in 1996, before moving to Boston to study Dental Medicine at Tufts University. After graduating from Tufts Dental School in 2002, he completed a one-year residency program for Advanced Education in General Dentistry (AEGD) at the University of Connecticut. 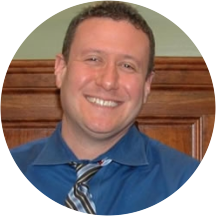 Dr. Ginsburg has been practicing family and cosmetic dentistry in Boston since 2003. Currently he practices in the Back Bay neighborhood of Boston. Dr. Ginsburg is a member of several dental and other professional associations including The American Dental Association, The Massachusetts Dental Society, The Metropolitan District Dental Society of Boston, and The Tufts Dental Alumni Association. He is also involved with alumni activities at Cornell University and mentoring at Tufts Dental School in Boston. He and his wife, also a dentist, annually volunteer for dental outreach programs at their children's schools. In his free time, Dr. Ginsburg enjoys cooking, bowling, and a myriad of activities with his children. I highly recommend Dr. Ginsberg and his staff. Everyone who works here is so helpful and patient, and they take time to explain things if needed. They don’t “oversell” which I unfortunately encountered at a recent dentist. They also go outof their way to be sure you’re taken care of; they are easy to get in touch with and are very responsive. I'm a big fan. He explained each step of the procedure. He was so polite about how I should position my head. He has a great sense of humor. And he likes baseball! Excellent. Easy on the nerves in all ways. Good staff, too. Great personal style Thank for the bottle of water for the drive to ME! He patiently explained every part of my treatment. Even little details about how I should position myself. All of this gave me great confidence in my care. An extra bonus: Dr. Ginsburg has a fun sense of humor. As always, a very positive experience. Would highly recommend him! Dr. Ginsburg and the entire staff at the practice are top-notch! The procedure was explained up front and progress was frequently updated once it started. Dr. Ginsburg assured that I was comfortable and asked if I needed a break part waythrough. The quality of his work is superb and I've never had an issue (long-time patient). The front office is very friendly, professional and helpful. Highly recommended. Dr. Ginsburg is the best dentist I've ever had. He is incredibly competent, friendly, flexible, and responsive. And the staff are wonderful. We hope to have him as our family dentist for years to come! Dr. Ginsburg is the best! Dr. Ginsberg is excellent. My biggest fear are the Novocain needles. His technique makes it almost painless. So if you're like me, this is the dentist for you! Additionally, I'm one of those patients who likes to have everything explained indetail. Dr. Ginsberg recognizes this and has no problem with giving me all the info I need, including going over the x-rays and other images with me. Top notch dentist! Excellent! He is a very wonderful and skilled and HONEST dentist. I've seen a lot of dentists and he is the best by a long shot. Dr Ginsburg is fantastic! This was my first visit and I was impressed with the level of detail Dr. Ginsburg was able to provide when answering my many questions. With xrays and high resolution images of my teeth, he showed meexactly the issues that he was seeing. The doctor helped me work with my insurance and prioritize which work was the most critical. Dr Ginsburg seems like a very down to earth and honest guy. I would highly recommend him to anyone! Great service. Came in to get a filling and was out in no time! Best dentist I have ever gone too. Both the Doctor and his hygenist staff are very competant and efficient. No unnecessary pain or bad treatment here! I've had a lot of bad dentists, but these guys are very good at what they do.